What Can You Give Your Cat to Relieve Pain and Swelling? What Can I Give My Cat for Pain and Swelling? How to Know If Your Cat Is in Pain? When your cat is in pain, it can be a challenge for a number of reasons. 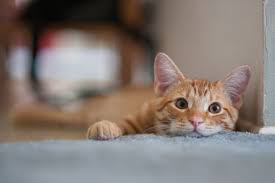 Cats will often hide their discomfort, which means you can go for weeks without ever realizing there is something wrong with your furry friend. Once you do notice something is off with your cat, you then go through the issues of their allergies to most pain medications. So when your cat is in pain, you can't just reach for the most common painkillers. You want to know what you should avoid and what options you have by reading this article. However, best of all, speak with your cat's veterinarian before giving them any medications. Aspirin. Aspirin can be used sparingly to help with pain and to reduce fever. Concerns: Since cats cannot metabolize aspirin quickly, they run the risk of overdosing. It can also cause upset stomach and agitate ulcers. Aspirin should never be used if taking a cartilage supplement or other NSAIDs. Fentanyl Patch. For cats that are receiving cancer treatments or for those suffering from post-surgical pain, a Fentanyl patch can be an ideal option. These patches can help control pain and eliminate the need for your cat to take oral medications. Concern: If the dosage is too high, your cat's respiratory system could be slowed. Nausea, skin irritation, as well as toxic reactions (if swallowed) to the patch can occur. Prednisone. Prednisone can be useful in treating joint pain as well as skin irritation. Concerns: If used for long periods of time, this anti-inflammatory drug can hinder the body's ability to produce hormones. Since the drug causes salt retention, there will be an increase in thirst and urination in cats. Cats who have diabetes should not be given this type of medication. Tramadol. This medication helps block the pain receptors in the brain. Concerns: Most of the side-effects of Tramadol are non-life threatening, but can include constipation, low heart rate, upset stomach, and pupil constriction which indicates an overdose and is often followed by a seizure. What can I give my cat for pain and swelling? Try Tramadol, but it should not be given to cats which receive flea, tick or mite treatments that contain Amitraz. Opioid. Cats suffering from severe pain or discomfort might benefit from an opioid medication like codeine, hydromorphone or morphine. These medications are often prescribed to cats after a surgical procedure, if they have arthritis or have an advanced stage of cancer. Concerns: Certain opioid should not be given with acetaminophen. Corticosteroids. Corticosteroids are often used as an inflammation reducer. They can help relieve allergy and arthritis symptoms. Gabapentin. While gabapentin is a seizure medication, it is effective in relieving nerve, muscle, and bone pain. Amitriptyline. Amitriptyline is often prescribed to humans for depression, but is also an effective pain medication for cats. Buprenorphine HCI. This medication is considered safe to use on cats and can be administered as an injection or orally. Magnetic therapy. Specially fitted magnetic collars are used for this type of treatment. This magnet is used to deliver a charge into the bloodstream, which will help promote the flow of healing oxygen. Acupuncture. Acupuncture is a common practice in Asian medicine and is slowly being more acceptable in the western world as an effective way to treat many medical conditions. The practice involves using small pins that are placed in specific areas all over the body to help restore and balance the flow of energy or Chi. Acupuncture can also be the answer to your question “What can I give my cat for pain and swelling?” A single session may be all it takes to relieve your cat of the pain; for cats with chronic pain, multiple sessions may be necessary. Homeopathic. Homeopathic or natural remedies can be a much safer alternative to help relieve pain in cats. These remedies contain a variety of ingredients to naturally reduce or eliminate pain. While these can be highly effective, they will take time to take effect. You will need to provide this treatment in repeated doses so they can build up in the cat's system. Moist heat. Heat therapy can be used to help relieve pain in cats just as it does in humans. Use a heating pad you already have and wrap it with a damp towel, put the setting on low and tuck it under your cat's bed before they go to sleep. There are also specially designed cat beds that have heat controls already built in them. Massage. Taking your cat for a massage can help them relieve pain. Massage can help treat many types of pains. These gentle massages can increase oxygen flow in the body as well as help stimulate the production of pain-relieving endorphins. Increase in aggression, especially when touched. Change in their urination or stool. Server responsed at: 04/25/2019 4:28 p.m.